September 2018 Halifax Harbour Bridge started a program to replace the paint on the approach spans of the Macdonald bridge, which were not part of the Big Lift. The existing coatings on the 64 year-old Macdonald Bridge are no longer effective in protecting the bridge from corrosion and steel degradation. 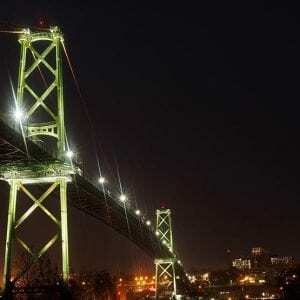 Over the next several years HHB will replace the existing coatings on the approach spans, cable bents and towers, beginning on the Halifax side of the bridge. The work includes full enclosure to remove the existing coating, repairing steel where required and applying new paint.